Product prices and availability are accurate as of 2019-04-18 21:46:34 EDT and are subject to change. Any price and availability information displayed on http://www.amazon.com/ at the time of purchase will apply to the purchase of this product. LARGER THAN LIFE - Our Mega Outdoor Movie Screen measures 96" wide and 58" tall and is blown up with air as it inflates when plugged in. FAST AUTOMATIC SET-UP - Inflates in 2 Minutes with quiet provided fan. 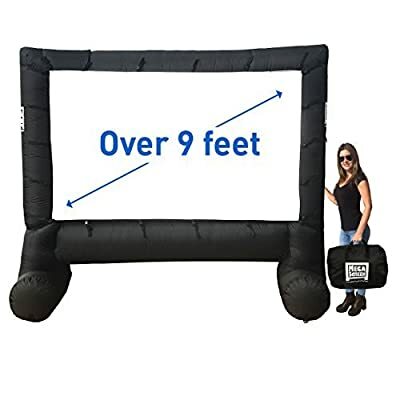 When inflated, this Big Movie Projector Screen measure 10' wide x 9.5' high with feet measuring 3.5' deep. 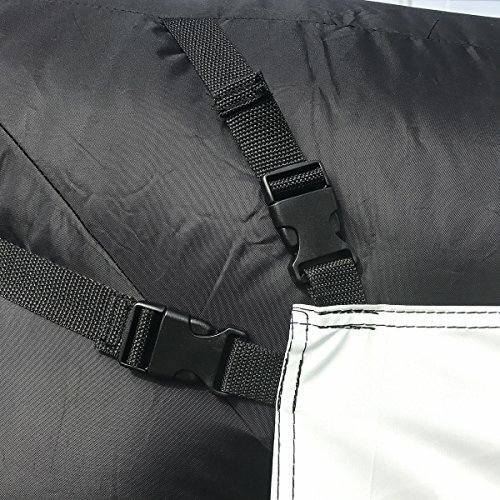 EASY AND CONVENIENT - Includes inflatable frame, detachable screen, blower motor, ground stakes, tie-down strings or tethers connected to heavy duty D rings that are attached to inflatable and carry bag. 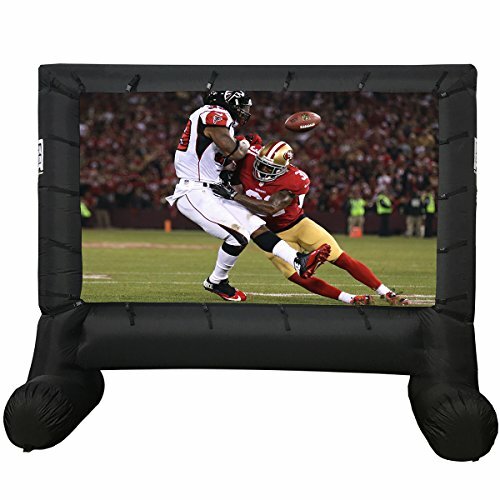 LIGHTWEIGHT AND PORTABLE - Our inflatable movie screen just weighs 11 pounds which makes it a great projection screen portable enough to use as an Event Screen when needed or for a movie screen backyard gathering with family and friends! 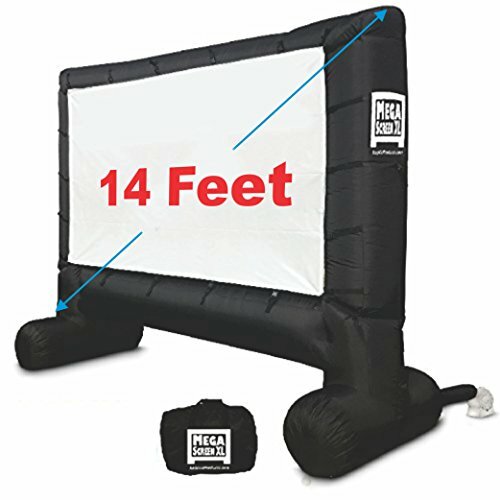 100% SATISFACTION GUARANTEED - The movie screen automatic set up allows for anyone to use, and it is easy to take down. 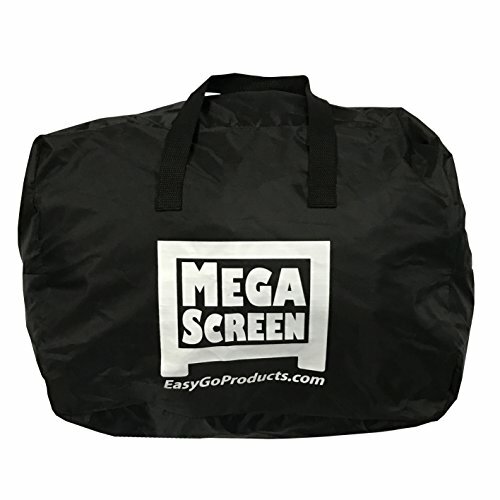 Comes with movie screen bag for easy storage! !